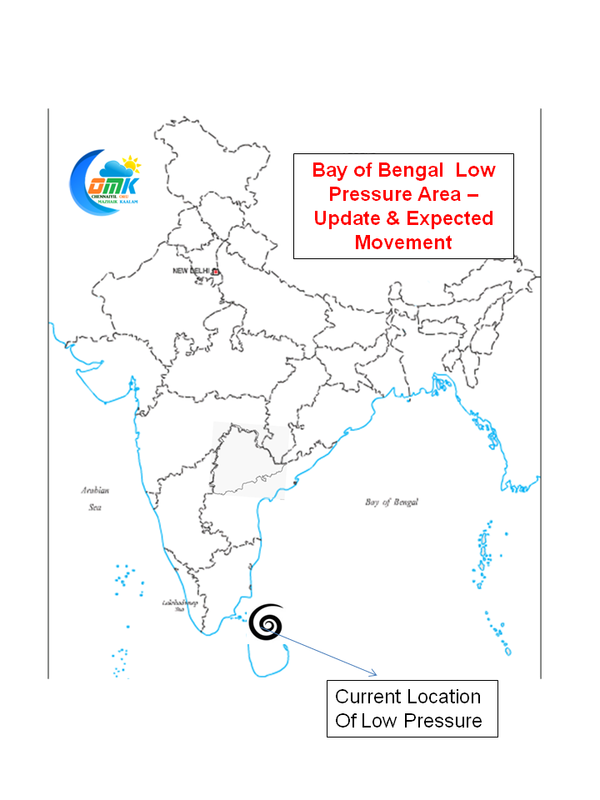 As expected the Low Pressure Area moved over the Sri Lankan landmass and now lies over North Sri Lanka & adjoining Bay of Bengal. 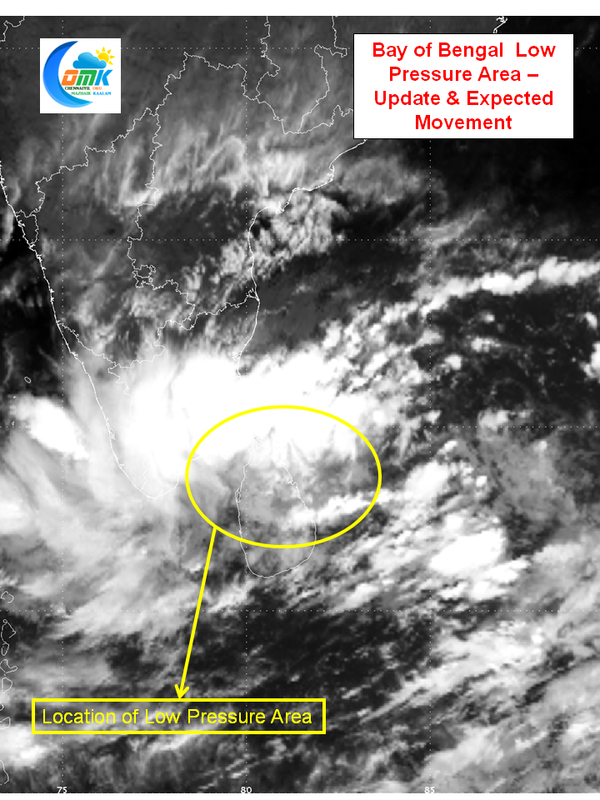 Since last evening South Tamil Nadu has been receiving some good rains thanks to the Low Pressure Area moving North over Sri Lanka. Being a very disorganized disturbance from the beginning the LPA is expected to relocate to the Open Sea over the next 12 hours or so within the elongated disturbance. Having relocated itself into the open waters, with the aim of open sea and marginally good atmospheric conditions it could bring itself some development. But the HPA over Central India is expected to slide down the latitude further providing little steering scope for this LPA to move. This could mean a quasi stationery position for the LPA over the next couple of days. 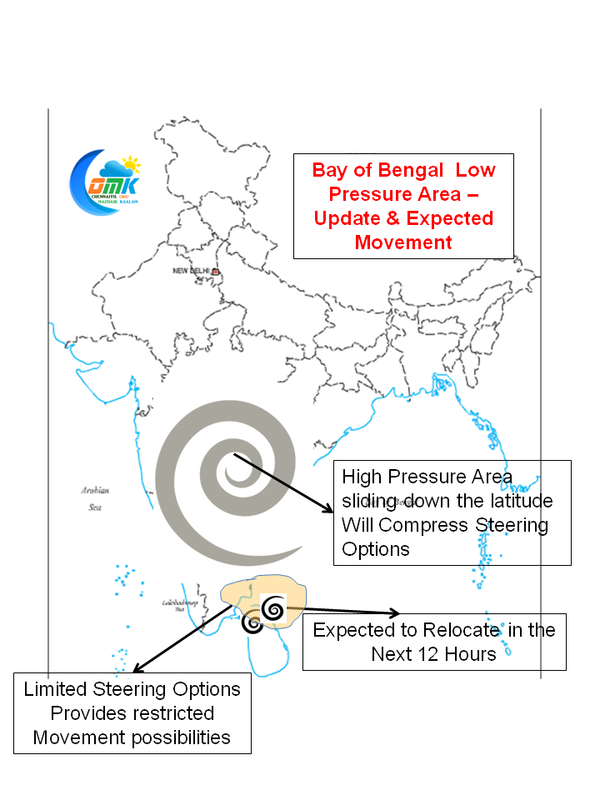 This quasi stationery position could give some very heavy rains over South Tamil Nadu from today till the weekend. 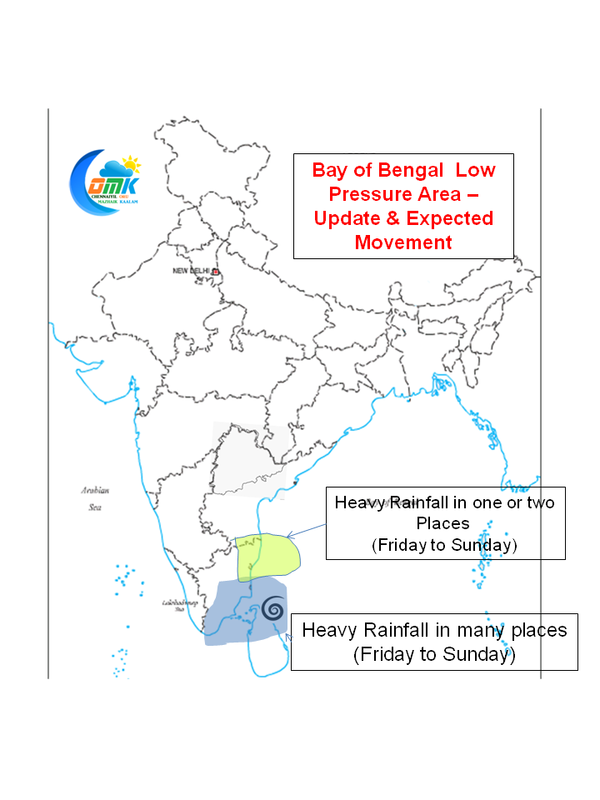 While most models are expecting very little rains for North Coastal Tamil Nadu, there exists a fair possibility that during the consolidation one or two places in North TN could get some good spells of rains between Friday & Sunday. While the wait for Chennai is agonizing and dragging longer by every day, we could see some rains around Saturday / Sunday night.